Our Coaches - MINDBODYANDSWIM INC.
Raised in Southern California, Mandy has dedicated her life to health and wellness. She graduated with a Bachelor of Science Degree in Kinesiology, with an emphasis in Physical Therapy and Exercise Science. Gaining valuable research experience in the training field, she became a published author in the Journal of Gait and Posture as an undergraduate as well as publishing her first Ebook , " Happy Swimming for Mommy and Me", a online manual to help encourage the importance of a parents role in a child's swimming experience. ​An avid competitive swimmer throughout elementary and high school, Mandy started competing in triathlons since the age of 14 and continued to compete in Olympic and sprint distant triathlons through 2014 and focusing her training on long, distance open water swims. Her most recent swim accomplishments are : Swim Around the Rock 2016, Bridge to Bridge 2016, and the English Channel relay in the summer of 2015 ! Her love of swimming evolved into a successful and passionate career as a swim coach . 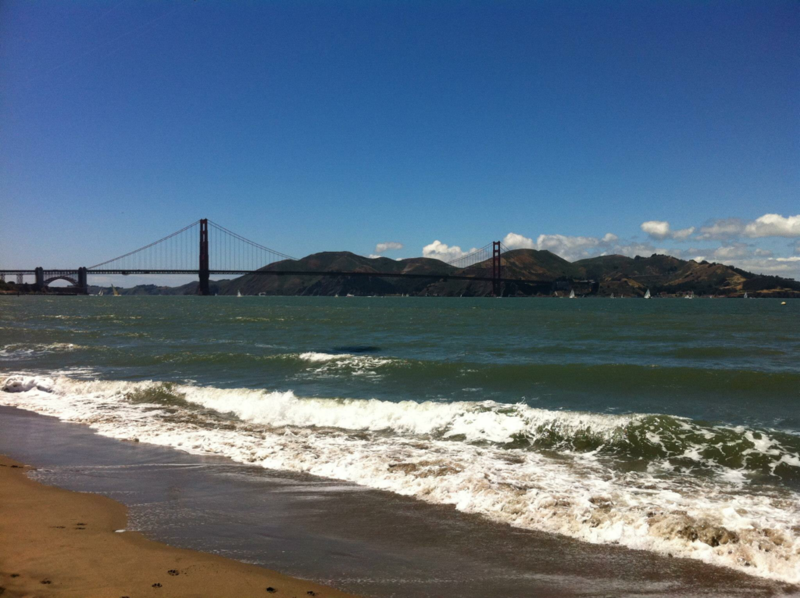 She became a certified Total Immersion Coach in May of 2012 currently directing and coaching workshops all along the coast of California from San Diego, Orange County, Los Angeles, Las Vegas, and San Mateo. Mandy realized that coaching became something that she was meant to pursue as a career because of her ability to problem solve quickly and being able to relate to each individual and how they process the information that's given to them. The type of athletes and swimmers that Mandy has trained have ranged from complete novice swimmers, to advanced Ironman triathletes, and experienced marathon swimmers. ​ Through constant dedication and hard work from her clients, many were able to successfully accomplish their goals if not go above and beyond what they ever thought they could achieve. For example, Mandy has trained clients that have never been able to swim let alone put their face in the water, to competing in their first open water triathlon with ease, confidence, and control. In addition, athlete, Tim Nufire, who struggled with exhaustion during the swim as well as the bike and the run, successfully finished the San Louis Obispo Olympic Triathlon not only did he set a PR on every leg of the race, he placed first in his age group and felt fantastic through the entire course. Another client and avid open water swimmer, Robin Rose, successfully crossed the English Channel solo in September of 2016 ! youtube channel at www.youtube.com/MindBodyandSwim. Make sure to Subscribe for new and upcoming videos to help with your training . Mandy was also featured in the San Mateo Patch news , "San Mateo Woman to Compete in Escape from Alcatraz Triathlon" by Laura Dudnick in February 2013. USMS Level III Coach and Total Immersion Certified Professional. Co-founder of Mind Body and Swim , and Head Coach of SoCal Tri Masters, Los Angeles, CA. Senior Software Engineer by day and swim coach mornings, eves and almost every weekend. Before finding his love for swimming, Stuart grew up playing ice hockey in SoCal and racing motorcycles in the deserts of CA and NV. Swim parent for 10 years, he didn't discover swimming until his daughter entered into triathlon in 2003 swim leg of relay team - and they've both been hooked ever since. Swimming was always a struggle, incredibly exhausting, says Stuart - but sure loved the start of the swim leg in triathlon, much like the start of a desert race. After many swim lessons with little progress, it was finding the book "Easy Freestyle" by Terry Laughlin in 2006 that completely changed his perception of swimming - no longer thinking of swimming as absolute power and strength, but as a high skill acquired through mindful practice. "Swimming became fun AND fast - no longer exhausting, and I just got better and better." Stuart turned TI Coach in 2010, directs workshops all over CA and in Las Vegas, and you will find him every night on deck (and often in the water with his squad) at So Cal Tri Masters. 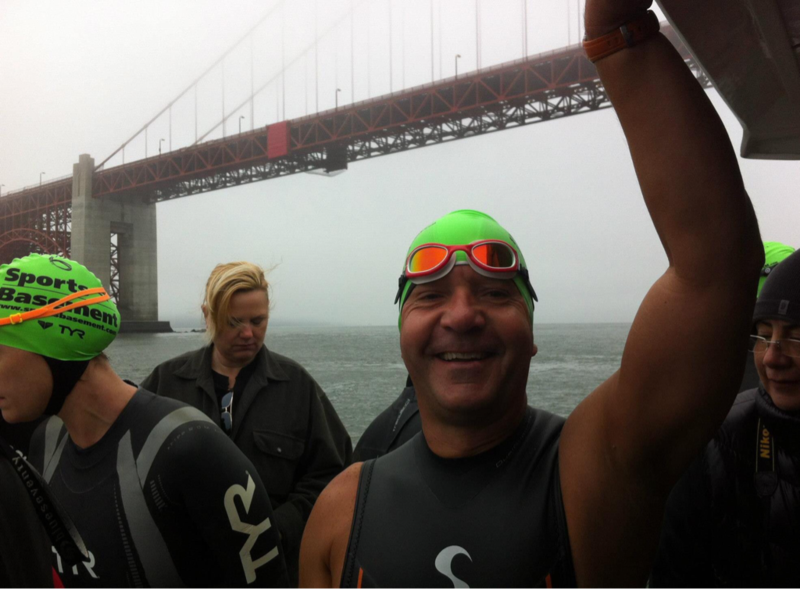 Although there's still a love for triathlon, he enjoys long swims in San Francisco Bay, 10k distances and above - and most recently swam on a relay team called the TI 6 (six Total Immersion Coaches) crossing the English Channel August 15, 2014.